Bobby Reynolds is smitten the moment the storm-ravaged wo Reeling from her boyfriend’s indiscretions at a party, Lacey Montgomery escapes into the throes of a torrential storm. Her car spins out of control and hurtles into the depths of an icy, black lake. She awakens in the arms of a handsome stranger, in a place she’s never heard of—thirty-four years before she was born. To ask other readers questions about Beneath the Lake, please sign up. The Lead up to Beneath the Lake! Before sitting down to write this review, I really scoured other reviews to make sure that I wouldn't leak a secret that would really ruin the book for someone. This was not a fun task ... I absolutely hate reading what someone else thinks of a book right before I write my review, I don't want their thoughts to sway what I think, you know? Anyhow ... I ended up writing down my thoughts and then taking out spoilers. Worked out pretty well, I think. Okay ... it's no secret that this book is about time-travel. It's all over Goodreads and it's not something that everyone is keeping quiet. I'm a-okay with the idea of time-travel. Buuuutttt ... when the story jumps from 2011 to 2012 to 1949 ... it's a bit much. I almost got whiplash just trying to keep up with the times. The switching was so confusing at the beginning of the book that I almost put the book down a few times. It just really stole something from the book. I wasn't able to completely immerse myself into the story because I never felt like I was on steady ground because of the disorienting time changes. The meat of the story was good but then again, there was just so much going on that I couldn't fully enjoy the crux of the whole book. For it to read as slow as it did, you wouldn't think that there would be too many things going on. There was a lot of inner dialogue and explanations that were a little too lengthy for my taste. When you mash the POV flip-flops, the time changes, the slowness and the amount of plots and sub-plots going on ... it just didn't end up well for me. I wanted to like it and I did at some points of the story but those times weren't frequent enough to redeem the entire book for me. Also, at the end, there were quite a few typos. They came out of nowhere! There weren't any at the beginning of the book and then I'm on my last few pages and BAM! Typos. It was so weird and almost as if someone was editing and then chunked a deuce, said f-it and walked away ten pages from the end. Very strange. Not the book for me but it's a sweet story. Quite a few people have enjoyed it ... apparently, I'm the mutant at table 9 on this one. Lacey Madison Montgomery starts out in 2012 going to a ritzy party her best friend Piper is having, and she hates parties. 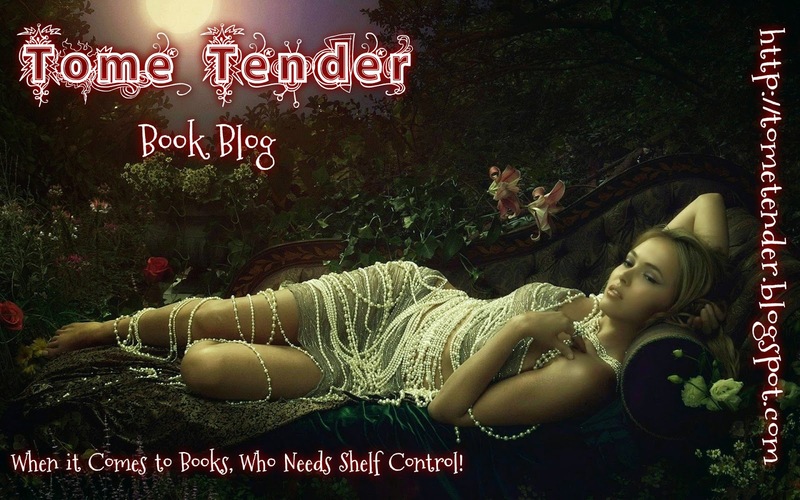 Turns out after she gets there, she seems to be having a good time, that is until she catches her boyfriend in the arms of another I received a free copy of this book to read and review for Wicked Reads, so here is my review. Lacey Madison Montgomery starts out in 2012 going to a ritzy party her best friend Piper is having, and she hates parties. Turns out after she gets there, she seems to be having a good time, that is until she catches her boyfriend in the arms of another woman. Lacey leaves after throwing a vase of flowers on Cole and his "date". She runs to her car and a storm has started with heavy rain and lightening. After she realizes that she should have stayed at the party, she turns around but can't remember how to get back to Piper's house. When she skids off the road and down a ravine. She tries to climb out but someone grabs her and she fights, hitting her head and falls into the lake. When she wakes up the next day she is bruised from head to toe, a gash on her ankle and a big bump on her head. There is a man standing over her and he seems different. Not just that she can trust him, he speech, mannerisms, his car. It's all different. When she sees the date on the newspaper, she nearly chokes on her food. It is November 6 1949. How is that possible? I don't believe I have ever read about a time travel romance before and I have to say this was very good. After catching her boyfriend in a compromising position, Maddie leaves the party. The rain is pouring like crazy outside and her car skids and she loses control. Her car plummets off the side and towards the lake below. She crawls out of the car and tries to make her way up the side, slips and begins to descend down the side. She wakes up the next morning black and blue from head to toe and to s handsome face leaning over her. The man who has rescued her, Bobby. My thoughts were all over the place with this book and I had a difficult time compiling my review. What I like My thoughts were all over the place with this book and I had a difficult time compiling my review. I liked how the author developed the two communities of past and present and developed the characters in both timelines. The story line of how the lake front community was created and what happened to the town that Bobbie (our H) was from was really good. How Lacey/Maddie goes back in time and develops relationships with people from the past was also really good. I liked the characters of Bobbie and Maddie together, although I got frustrated with her inability to communicate. When the book is in Maddie's (aka Lacey) perspective the story is written in 1st POV whether she's in current or in the past. When the book is not from Maggie's perspective the story is written in 3rd POV. I prefer 3rd POV as I feel 1st POV has to be done really well to work and I really don't like when POV jumps around in a book - for me it makes it a really choppy read. So I was disappointed that the author chose the jumping POV format. Lacey/Maddie was supposed to be an attorney but she wasn't really able to communicate well which made for some character disconnects for me. Also as the book was written in her 1st POV, she never sounded like an attorney with an upper crust background. When she's in the past she struggled with saying modern day slang and didn't understand some of the comments made by others. However, she was a defense attorney, law school background, upper crust background so I find it hard that she struggled with not using modern day slang. She would have used proper English in courtroom and in litigation documents so not using slang shouldn't have been an issue. These elements felt more contrived than real for the character they were supposed to be portraying. The book also tends to give main characters two different names depending on whether they are in the past or in the present. With Lacey/Maddie, the book is up front with one character/two names. But with a couple of others the book created a mini "mystery" even though the reader can guess who they are so the "mystery" seemed a little over the top and for me it was a little too much. I’ve got to start off by saying I usually stay clear of time travel books. I’m so glad that made it on my reading list as I really enjoyed it. Lacey is running from a party after getting her heart broken. The weather isn’t good and her car skids off the road taking her into a lake. After wakening up she finds a strange man but it gets even stranger when she realises she’s living in 1949. This book surprised me in how much I enjoyed it. Once I got into the swing of point of views and different time I’ve got to start off by saying I usually stay clear of time travel books. I’m so glad that made it on my reading list as I really enjoyed it. This book surprised me in how much I enjoyed it. Once I got into the swing of point of views and different times I really enjoyed it. A whole city beneath a man made Lake. Different type of story for me. So enjoyable. It’s when she wakes us her journey begins. It’ I couldn’t put “Beneath the Lake” by Casi McLean down. Warning! If you don’t have time to sit down and read, don’t pick this book up. Seriously, it grabbed me from sentence one and you won’t want to put this book down and go back to work. A series of (orchestrated) events come together in a perfect storm to hurtle Lacey Montgomery into the past, where she meets the love of her life; unbeknownst to her, she'd already met him at a party earlier but doesn't quite recognise him because she has yet to go back in time to meet him. 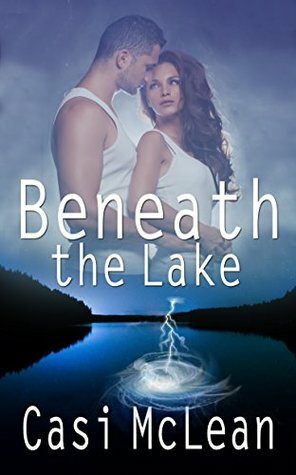 'Beneath the Lake' is a paranormal romance story with all the ingredients of suspense and mystery, wrapped up in a whooping blanket of syfy-induced time travelling and its consequences. My A series of (orchestrated) events come together in a perfect storm to hurtle Lacey Montgomery into the past, where she meets the love of her life; unbeknownst to her, she'd already met him at a party earlier but doesn't quite recognise him because she has yet to go back in time to meet him. My head hurts already, just thinking about the time travel paradox and the contradictions that must already be there. That aside, Casi McLean delivers a pretty decent read that's undoubtedly atmospheric and engaging, even if the first person narration seems to lack the sophistication of the voice I've come to expect of a grown woman who's an attorney. My attention was expertly steered in the direction of the hints and clues given because of (and despite) the confusing narrative segments of different time periods. Even so, I was left scratching my head at the believability of the entire time travel plot. This review has been hidden because it contains spoilers. To view it, click here. I received this book as an ARC for an honest review. I'm very glad I did. This book is a time travel romantic suspense - a genre I've never read before. It was an utterly captivating read. I couldn't put it down. The author does a wonderful job of hiding the true motives and intentions of the characters involved until it all works itself into an intricately solved puzzle at the end. The descriptions are so vivid the setting becomes an integral character in the story. Sidney, Georgia is the main lo I received this book as an ARC for an honest review. The descriptions are so vivid the setting becomes an integral character in the story. Sidney, Georgia is the main location throughout, but due to the story taking place in both 1949 and 2012, this set piece stays fascinating from beginning to end. The love story between Lacey/Maddie Bobby/Rob is beautiful, heartfelt, and at times, gut wrenching. The characters are so well developed they feel real, like someone you'd love to meet. 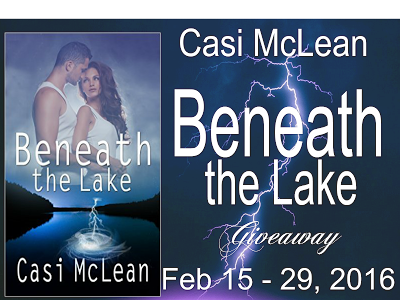 I'd like to bring to your attention Casi McLean’s newest release, Beneath The Lake. The story is a charming tale of time travel, suspense and the power of true love. I would not be surprised to see this novel thrusting Casi into a movie production. In one sweeping effort, she stirred together the magic of time travel, a riveting mystery, and a star-crossed love affair for the ages. Her writing captures your interest from the first page and holds you captive with mesmerizing, page-turning compulsion, and a surprise twist ending that will linger long after the book is closed. Luckily, two more books in the series are on her docket. If you are looking for an absorbing story, order a copy of "Beneath The Lake” and be prepared to set aside enough time to finish the whole book in one glorious read. I’d like to be professional and tell you about the plot, characterization, etc…, but the only words that come to mind are HOLY COW! This story has it all. It’s the kind of story other authors are going to enjoy reading – and probably be inspired by. It’s a story that will stay with any reader for a very long time. I would go as far as to say, it’s the best book I’ve read in a long time. And, to top it off, it’s the author’s debut novel. If this is how she starts, I can’t wait to see where she goes from here. To wrap it up – I’m BLOWN AWAY! If you enjoyed the movie The Lake House (starring Keanu Reeves and Sandra Bullock, 2006) then you'll absolutely adore this novel. Two destined souls, from two different time periods, united (or reunited in their case) through a chain of events. Like the movie, it was sweet, romantic, and had a HEA. But the story doesn't end when the soul mates find their way back to each. No, Casi had a couple more surprises up her sleeve which kept me engaged to the very end. I truly believe it'll have the same effect on you. Unlike anything else I've ever read! Suspenseful and entertaining, was hard to put the book down once I started reading. A brilliantly written, extremely original plot that never leaves you bored while reading. 100% recommend! I don't normally read 'romance novels', but this one is quite good. Love the style and the characters. the story kept me entertained from the beginning. happy well developed ending without being cliché. What a great book! Twists and turns...unexpected outcomes...Loved it! So, I have this tendency to buy books on a recommendation and then read them a week or more later. This has the side-effect that I’ve often forgotten what it said in the description by the time I come to read it, especially as I invariably have a lot of books in my to-read list. Sometimes, that means I get a surprise when a book isn’t the genre I thought it would be. In this case, this had the effect that it wasn’t at all clear to me that this was a time-travel story, and could entirely have been So, I have this tendency to buy books on a recommendation and then read them a week or more later. This has the side-effect that I’ve often forgotten what it said in the description by the time I come to read it, especially as I invariably have a lot of books in my to-read list. Sometimes, that means I get a surprise when a book isn’t the genre I thought it would be. In this case, this had the effect that it wasn’t at all clear to me that this was a time-travel story, and could entirely have been a crime thriller or such; the wording was clearly intentionally ambiguous throughout. Notwithstanding the description making it clear that there is time travel at hand, the book itself avoided confirming it, gave no indication of anything paranormal going on beyond that one little thing (of waking up in the 1940s, far enough from the bulk of civilisation that it could have been a complex trick), and gave many hints that the male protagonist may be a con artist at best, something much less savoury at worst. However, as things go on, the more things and people present make it difficult to believe it’s a trick, yet the occasional dips into the present-day goings-on make it difficult to believe that it’s not all an elaborate and well-planned ruse, painstakingly researched and actuated. Anyway, I can say the writing is excellent, there’s a great deal of detail that’s gone into the historical aspect of the novel, and I really appreciate that. The mystery unravelling is also splendidly done, and it took me until the start of the denouement to understand what had been going on the whole time. 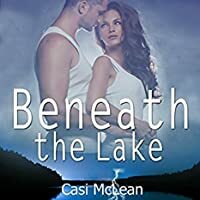 I enjoyed everything about Beneath The Lake by Casi McLean. I like a story I can sink my teeth into, and this book provided that. The multiple time lines running through the story kept me on my toes. The characters are well-drawn and interesting. The plot moved along at a nice pace, and I was thoroughly engrossed and left guessing right to the very end. This is a great read! I turned in a huff, glancing over the banister, and realized I wasn't alone. All eyes gazed up as if some starlet had spilled fine Bordeaux on her snow-white Valentino dress. Overall, reading this sparked an interest in a genre I previously had no interest in exploring. I’m excited to see where the rest of the books in the series go. I felt like this read as a series of notesbor journal entries instead of a novel. I enjoyed the idea behind the plot and found that unique, which made me want to read it. I'd never read anything by this author before but I see great potential, especially with editing and formatting. I loved the heroine and the descrptive inner dialog but found the hero bobby annoying. I kept imaging that every time he spoke, was in a ultra feminine high pitched voice and fast. I don't know why I did this but bec I felt like this read as a series of notesbor journal entries instead of a novel. I enjoyed the idea behind the plot and found that unique, which made me want to read it. I'd never read anything by this author before but I see great potential, especially with editing and formatting. I loved the heroine and the descrptive inner dialog but found the hero bobby annoying. I kept imaging that every time he spoke, was in a ultra feminine high pitched voice and fast. I don't know why I did this but because of that, I wasn't feeling their connection, which for a romance book that is important. I think there is potential for this to be great but sadly fell flat for me. At fist I really hated the going back and forth in time. It got on my nerves real quick...until about half way through when my brain clicked it all together...and then it was like "OOOHHHH! That makes sense now!" Actually, you kind of start thinking that Rob means to murder Lacey. Really. But it all makes sense in the end. Kind of sad about Drew though. But I guess I could say the same about Maddie and Bobby too. I received a copy of this story from Net Galley. Yay books! But it all makes sense in the end. Kind of sad about Drew though. But I guess I could say the same about Maddie and Bobby too. They don't get to know the boy he was, only the man he became. “Beneath the Lake” is an original new-adult tale of a time-traveling conundrum. Read full review in the 2016 April issue of InD'tale Magazine. Known for enchanting stories with magical description, McLean entices readers with fascinating hooks to hol USA Today & Amazon Best Selling Author, Casi McLean, pens novels to stir the soul with romance, suspense, and a sprinkle of magic. Her writing crosses genres from ethereal, captivating shorts with eerie twist endings to believable time slips, mystical plots, and sensual romantic suspense. Ms. McLean weaves exceptional romantic mystery, with suspenseful settings and lovable characters you'll devour. You'll see, hear, and feel the magical eeriness of one fateful night. You'll swear her time travel could happen, be mystified by her other worldly images, and feel heat of romantic suspense, but most of all you'll want more.